The Cokin Hard-Edge 1-stop Graduated Neutral Density filter helps darken specific areas of the image, like bright skies, while leaving other areas of the image unaffected. The filter is most dense at the edge and tapers to clear at the middle, with a hard-edged line of transition. A neutral density filter with a hard-edged line of transition is useful for images with defined horizon lines. Neutral density filters do not affect the color of the image while creating a more balanced exposure. The Cokin Hard-Edge 2-stop Graduated Neutral Density filter helps darken specific areas of the image, like bright skies, while leaving other areas of the image unaffected. The filter is most dense at the edge and tapers to clear at the middle, with a hard-edged line of transition. A neutral density filter with a hard-edged line of transition is useful for images with defined horizon lines. Neutral density filters do not affect the color of the image while creating a more balanced exposure. 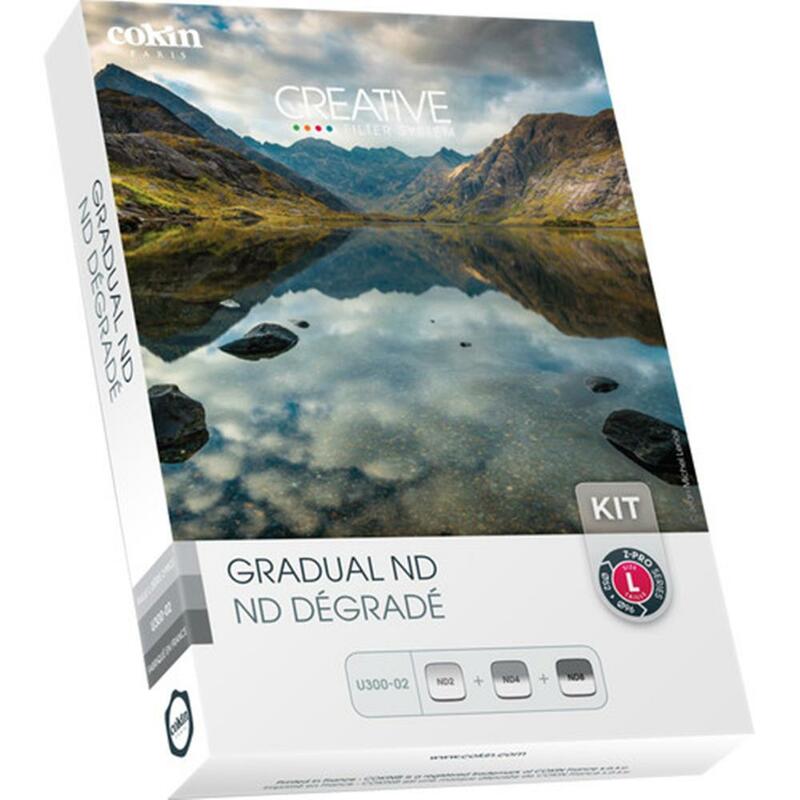 The Cokin Hard-Edge 3-stop Graduated Neutral Density filter helps darken specific areas of the image, like bright skies, while leaving other areas of the image unaffected. The filter is most dense at the edge and tapers to clear at the middle, with a hard-edged line of transition. A neutral density filter with a hard-edged line of transition is useful for images with defined horizon lines. Neutral density filters do not affect the color of the image while creating a more balanced exposure.